Celebrate the life of M’lissa (Rhode) Cassidy. M’lissa was born Sept. 4, 1957, and passed away April 3, 2019. Join her family and friends Friday, April 12, 4 p.m., at the clubhouse at Bungalows at Sky Vista, 9755 Silver Sky Parkway, Reno, Nevada. 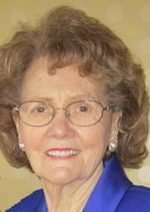 On March 17, 2019, Carolyn (Luftenburg) Hendrick, age 89, passed away peacefully at St. Mary’s Hospital in Reno, Nevada. Carolyn, the youngest of two children was born to Leonard Branch and Leona Stevens in Ventura on Feb. 15, 1930. She married Joseph Luftenburg and raised two daughters while working at Santa Paula Hospital until retiring after 35 years of service. In 1996 she married Jerry Hendrick and moved to Quincy. Carolyn, known for her kind and compassionate spirit, had a love of Christ and enjoyed spending time with family, playing cards and tending to the local wildlife. She is survived by her- husband, Jerry Hendrick; half-sister, Darlene Dominguez; daughters, Diana Cline and Sandra Ward; stepson, Gerald Hendrick; grandchildren, Lisa Burns, Jason Antwine, Taylor Hendrick and Cody Lavley; great-grandchildren, Mason, Alyse, Rylee, Claire and Kinsley. Graveside services were held at Santa Paula Cemetery on Monday, April 8, at 11 a.m. In lieu of flowers, donations may be made to the American Macular Degeneration Foundation. On March 16, 2019, Roberta Kay Sanders Perry (“Berta” by those who loved her most), received a call from her heavenly Father to meet him at the top of her favorite mountain, Mount Lassen. Surrounded by her loved ones, she boldly embraced the peace promised to her. On April 10, 1975, in Chester, Roberta surprised her parents John and Allena Sanders as she fist-bumped her partner in crime, twin sister; and friends rushed to the local store to buy more diapers. Growing up in her small hometown, her spunky school years were filled with life long friendship and the discovery of her love of the great outdoors. After graduating from Chester High School in 1993, this love eventually led her to her dream job as a ranger at Mount Lassen National Park and tight knit connection to Smokey the Bear. Roberta inspired all of those who knew her by flipping the bird at the face of illness she so bravely fought with strength and grace for many years. For 43 years, she blessed those around her with her selfless caring for others regardless of what she was facing and witty humor where she could find the most subtle humor in any situation, ride it to the surface and use a brilliant one-liner no one else would think of. In 1999, she endeavored a new adventure and moved to Boise, Idaho, where she attended Boise State University. It wasn’t long before she met the love of her life and one year later she married her husband of 19 years, Mark Perry. In 2002, after numerous weeks of bed rest, Roberta gave birth to her son, Noah, who inherited her adventurous spirit and ingenious sense of humor. Roberta was a simple person. With a diet Mountain Dew in her hand, her colorful art in her lap, and her pal dog, Leah, next to her, she found pleasure in life singing to the tune of “Bad boys, bad boys, watcha gonna do …” as she watched her favorite show, “Cops.” She tended to make life seem carefree, like her fondness of magical unicorns, even when it wasn’t, and embraced the joy she felt spending time with her family and friends, celebrating the many accomplishments of her son, Noah, traveling and camping (she was happiest on the Oregon coast), and baking her dad’s favorite cookies whenever she thought he needed them. Christmas will not be the same without her elaborate variety of goodies that left the rest us with a few extra pounds. 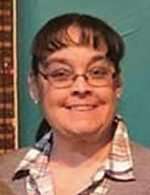 Roberta is survived by her husband, Mark Perry; her son, Noah Perry; her parents, John and Allena Sanders; her brother, Jonathan Sanders, her twin sister, Rachel Sanders Throne, their spouses and children. Her many other family members and friends will also miss her generous nature and clever ability to make people laugh. In lieu of flowers, please consider making a donation in Roberta’s name to the American Kidney Fund, American Diabetes Association or a charity of your choice. Memorial services will be held at Lakeview Bible Church at 1010 Greenhurst in Nampa, Idaho, on April 8 at 6 p.m. and Wesleyan Church in Chester, on April 20 at 1 p.m. Our family thanks you for the many prayers and words of encouragement.